At Hotel Ambassador, enjoy a satisfying meal at the restaurant. Quench your thirst with your favorite drink at the bar/lounge. A complimentary breakfast is included. 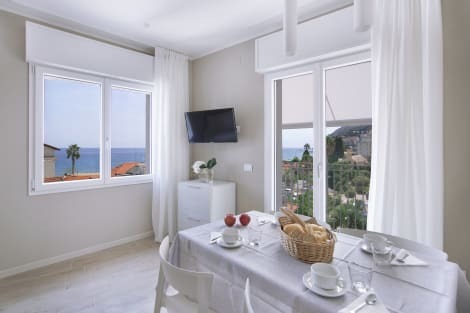 When you stay at Hotel Mediterraneo in Laigueglia, you'll be near the beach and 4 minutes by foot from Lungomare Angelo Ciccione. This hotel is 2.1 mi (3.3 km) from Parish Church of St Ambrogio and 2.4 mi (3.9 km) from Wall of Alassio. lastminute.com has a fantastic range of hotels in Laigueglia, with everything from cheap hotels to luxurious five star accommodation available. We like to live up to our last minute name so remember you can book any one of our excellent Laigueglia hotels up until midnight and stay the same night.